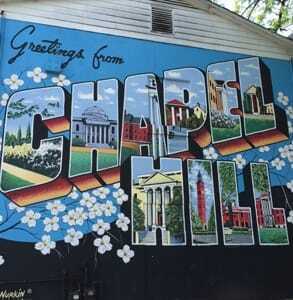 The Short Version: Chapel Hill is home to the University of North Carolina at Chapel Hill, and about 32% of residents are between 20 and 34 years old. During the school semester, over 18,800 undergrads and 11,000 graduate students roam the campus and downtown area. Naturally, this college town has a fairly active dating scene. 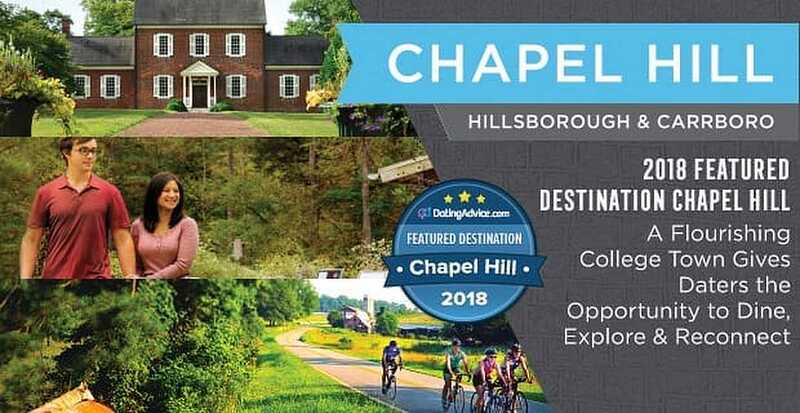 You can always find a farm-to-table restaurant, a free museum, a picturesque park, or a budget-friendly event in Chapel Hill. Its streets and nature preserves are packed with date opportunities, and we’ve picked out some of our favorite date spots to help couples connect through shared interests and activities. Whether you enjoy relaxing by a lake or dancing all night at a club, you have a chance to get away and enjoy yourself in a thriving Southern community. A friend of mine met his long-term girlfriend while they were attending the University of North Carolina at Chapel Hill. He was a junior, and she was a freshman, but they ended up in the same economics class. He zeroed in on her immediately, but she didn’t seem interested in him. He’s not the type of guy to be deterred, though, so he started coming up with ideas to win her over. From the “Twilight” midnight premiere to hot-air balloon rides, he considered just about every first date activity under the sun before finally deciding to leave it up to her. “I’ll take you anywhere you want to go,” he said. “You name it.” He had expected her to demand a horse-drawn carriage to a steakhouse, but all she wanted was a slice of pizza. Known as “the southern part of heaven,” Chapel Hill has many romantic spots to take a date. So, after class, they walked over to IP3 on West Franklin. They had a great time together, and it wasn’t long before my friend’s cheesiness melted his date’s heart. Chapel Hill is a college town with a welcoming, progressive, and energetic vibe. Daters can always find something fun to do here because the city is surrounded by greenery and packed with affordable entertainment. Many local establishments cater to flirtatious youths seeking a fun night out, so planning a date night is easy in this vibrant town. We’ve picked out some of our favorite date spots to help couples plan the perfect date in Chapel Hill. Such a peaceful setting can be a romantic setting for couples on a first date or celebrating a proposal or an anniversary. Dozens of parks and nature preserves dot Chapel Hill as well. The Brumley Family Nature Preserve is a 613-acre public space located minutes from the downtown area. The wooded areas, groves, and ponds are connected by 15 miles of winding nature trails perfect for couples biking or hiking together. The Orange County countryside is an idyllic place to spend a weekend afternoon. However, you don’t have to be outdoorsy to have a great time in this cultural hot spot. The college campus has a free museum with 18,000 works of art in its permanent collection. Since 1958, the Ackland Art Museum has educated and entertained visitors of all ages. On Mondays, the museum even hosts yoga classes. You can take a date to a museum, botanical garden, or planetarium in Chapel Hill to get out of your shells and find something to talk about in a laid-back setting. The Chapel Hill area boasts over 300 restaurants featuring all kinds of cuisine. You can find high-end steakhouses and come-as-you-are burger joints in this college town. Many award-winning chefs serve up signature dishes known throughout the area. People come from all over that state to sample the farm-fresh ice cream at Maple View Farm, and Crook’s Corner is famed for its shrimp and grits and honeysuckle sorbet. 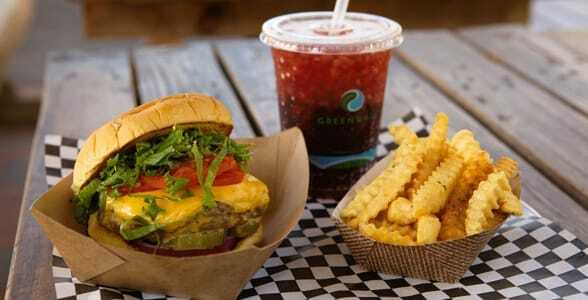 We recommend couples on a budget try Al’s Burger Shack, which serves burgers, hot dogs, shakes, and sweet potato fries. You can order a bite-sized burger for less than $5. All burgers are made with pasture-raised beef and locally sourced cheese and vegetables. The casual atmosphere and high-quality food are sure to please any carnivorous daters. If you’re looking for more of an upscale date experience, you can make reservations at Bin 54, a steakhouse ranked as one of the best in the country by OpenTable. The extensive wine list and signature cocktails add class to any date. You can treat your date to an artisan cheese plate, a wood-fire grilled steak, and a luscious dessert cocktail at this high-end restaurant. Al’s Burger Shack is a casual diner where couples can eat excellent food without going broke. James-Beard award-winning chef Andrea Reusing opened Lantern in Chapel Hill to celebrate Pan Asian flavors with a Southern twist. The modern atmosphere and mouth-watering food give daters plenty to talk about as they dig in. Plus, the Lantern Table dinner series features cooking classes and private dining experiences for up to 45 guests in its kitchen dining room. Such events could make for festive and engaging date nights. Patty also recommended ordering a beer and sitting outside on the sidewalk at Carolina Brewery or grabbing a late-night bite with a date at Time Out, a downtown eatery that never closes. Many locally owned establishments in Chapel Hill tempt daters with a unique experience, and, during the annual TerraVita Festival, the area’s top chefs and food artisans showcase farm-to-table meals and other signature dishes in four-day food festival. If you’re interested in dancing the night away with someone special, you can check out the bars and clubs in Chapel Hill. Local 506 is a popular spot known for featuring up-and-coming rock bands and musicians on tour. You must be a member to attend these shows, but membership only costs $2 and lasts for life. Local 506 doesn’t serve food, but it’s within walking distance of Al’s Burger Shack, Carrburritos, Northside District, and other food joints that stay open late to feed hungry concert goers. The Cave is another iconic music venue with a full bar and late curfew. Open until 2 a.m. seven days a week, this dimly lit hangout creates an intimate setting for couples. From the moment you descend into this underground dive, you’ll be surrounded by good music and good company. 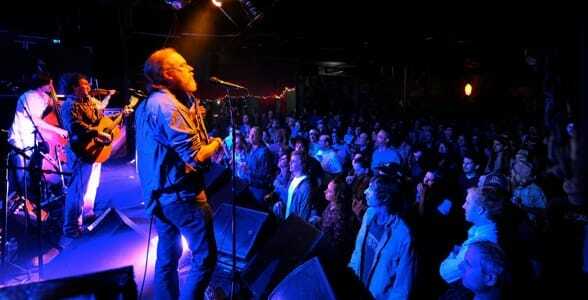 Carrboro’s Cat’s Cradle sets the stage for an excellent date night by booking talented musicians. Cat’s Cradle in Carrboro is less than a mile from UNC’s campus and makes for a rocking date night. The club produces rock concerts for up to 750 people. Over the past 40 years, this music venue has hosted big-name musicians and bands, including Nirvana, Public Enemy, John Mayer, and Iggy Pop. The shows often highlight local talent as well. Some popular bands, including Smashing Pumpkins and Widespread Panic, appeared at the Cat’s Cradle as unknowns and later became famous. “The music scene has had quite a history here,” Patty told us, “and it’s still popular and going strong.” Every night, the downtown area comes alive with students, graduates, and other singles, and you and your date can follow the sounds of live music to find an intimate place to share a drink. Or, if you’re interested in leveling up your date-night experience, you could enjoy a round of Galaga along with a round of drinks at The Baxter, an arcade bar on Graham Street. This nerdy-chic bar is open until 2 a.m. all week long, so you can also stop in and challenge your date to a vintage arcade game. Who knows? You might see your name up in chalk on the high-score board. You don’t have to look very far to find a great date activity in Chapel Hill, North Carolina. Whether your date prefers chowing down on pizza or rocking out to live music, the city has many budget-friendly options for anyone looking for a good time. You can put together a special date by checking out the gardens, festivals, restaurants, and bars in the area. During the summer, couples can cuddle together and enjoy movies under the stars on the Wallace Parking Deck or sit on a blanket relaxing to live music on the Village Green lawn at Southern Village. In the winter, they can tour the decorated city streets and decorate cookies while sipping hot chocolate. Plus, on the second Friday of every month, Chapel Hill and Carrboro host a popular ArtWalk where local galleries open their doors during the evening and serve small plates and drinks for a discounted price.